They’re back. The eggs. The facehuggers. The xenomorphs. The exploding body cavities and worse. Director Ridley Scott returns to the franchise he started 38 years ago and has brought back the most terrifying monsters in the universe in Alien: Covenant. The movie holds the rather unique position of serving as a sequel to 2012’s Scott-helmed Prometheus, and also as a prequel to the Alien franchise that began with Sigourney Weaver and company in the original Alien. Alien: Covenant takes place approximately ten years after the events of Prometheus, where we were left with archeologist Elizabeth Shaw and synthetic David as the only survivors of their scientific expedition to find the origins of human life on planet earth. Now, a decade after the pair took off in an Engineer’s spacecraft, the colony ship, Covenant, monitored by a more modern version of David named Walter, is headed towards a planet suitable for the habitation of its 2000 passengers. However, before they reach their intended destination, they receive a rogue signal, which may or may not be a distress call. Oram, the ship’s captain (Billy Crudup) believes it’s their duty to investigate, while Daniels (Katherine Waterston), the ship’s terraforming expert, feels their allegiance is to the colonists. Once they’ve landed on this new world, it’s not long before crew members become infected by alien organisms, and the proverbial sh*t hits the fan. As the landing party struggles to survive unspeakable terrors, they come across the android, David, and learn what he and Shaw have been up to the past several years. Alien: Covenant marks the first true blue Alien film in twenty years, since 1997’s underrated Alien: Resurrection, which also served as Sigourney Weaver’s last turn as Ripley. Since then, we’ve had two Alien vs. Predator films, and the prequel, Prometheus. As brought up in our Gore 4 preview of Covenant, Prometheus, while very successful, proved to be divisive among fans of the franchise. 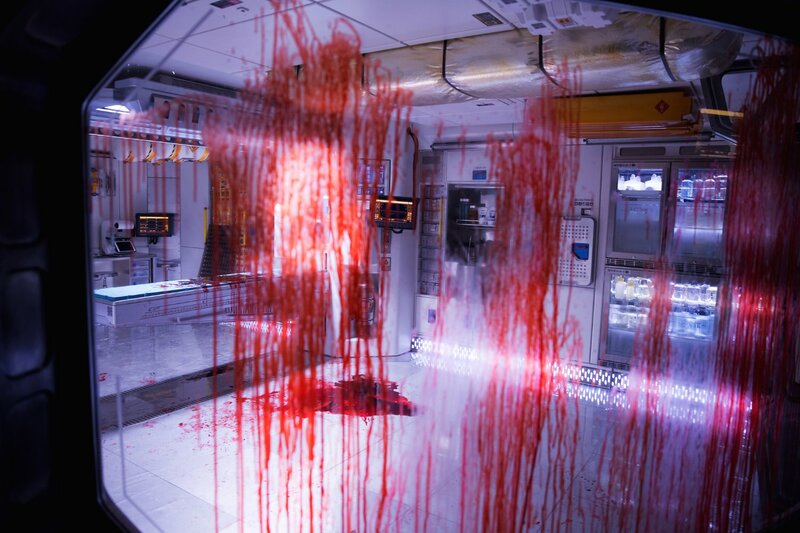 Perhaps realizing this, the producers and Ridley Scott have opted to make this new film more Alien-like, harking back to the original film, with dark corridors, bloodthirsty xenomorphs waiting at every turn, and a general sense of unease and dread. Yet, it still possesses some of the scope of Prometheus in its quest for answers to some very large questions concerning man’s place in the universe, and that of other beings as well. While each of the first four Alien films employed a different visionary director to add their own take to the story, now it seems the franchise is being steered by a singular vision, and the one who first brought it to the big screen. (Of course, much credit must also go to Dan O’Bannon, who wrote the original Alien screenplay from a story by him and Ronald Shusett, and the innovative design work by Swiss impressionist H.R. Giger.) Working with a screenplay by John Logan and Dante Harper, Ridley is equally adept at helming intimate, close-quartered quiet scenes as he is with full blown, large scale action sequences. It all adds up to one epic, harrowing adventure. One of the aspects of the Alien franchise that resonates among fans is the impressive casts that are assembled. Here, Katherine Waterston adds intelligence and strength to her Daniels in a way Ripley would be proud of. It continues the pattern of strong female characters leading the way against the alien menace. Michael Fassbender returns once again as David, the android with ulterior motives, along with his alter ego and newer model, Walter. That Fassbender can take both his non-human characters and infuse each of them with distinct personalities and mannerisms is a testament to his acting prowess. Danny McBride, best known for his comedic roles, really shines as pilot, Tennessee, bringing personality and capability to his integral part. Rounding out the cast are Billy Crudup as the stoic captain, Demián Bichir as head of security, Carmen Ejogo as Crudup’s biologist wife, Callie Hernandez as the ship’s medic, Jussie Smollett as her husband and Amy Seimetz as the lander pilot and Tennessee’s wife. All bring an earnestness and sense of realism to the extraordinary events unfolding upon the screen. Of course what sets the Alien franchise apart from all others are its unique and horrifying alien creatures. After being largely absent from Prometheus, they make all kinds of appearances here in a variety of forms, thanks to their fascinating life cycle. While their various life stages have undergone a bit of a metamorphosis themselves from film to film, what hasn’t changed is their complete and utter viciousness. From a relentless facehugger determined to latch onto a victim to begin the cycle, to a chest (or back)-bursting newborn ready to assault anything that gets in its way, to the full-sized, horrific xenomorphs that always seem hell-bent on killing everything in their path, these aliens are the epitome of nightmares. Utilizing a perfect blend of practical f/x and CGI, these creatures are brought to terrifying life, bringing death at every step. And that death comes in the form of a plethora of viscera, blood and body parts from beginning to end. As is generally the case with most of Ridley Scott’s films, the production design is exemplary. 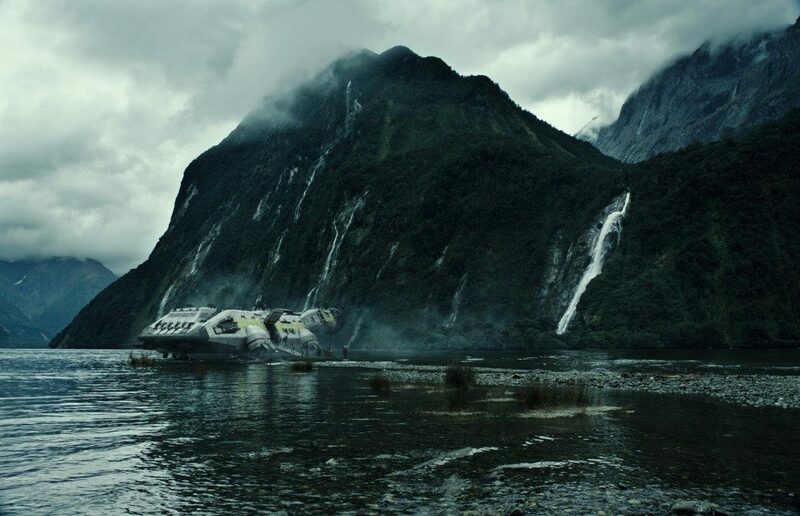 New Zealand provides a truly otherworldly, yet familiar looking location for the alien planet. Working with production designer, Chris Seagers, and cinematographer, Dariusz Wolski (who also shot Prometheus and the Pirates of the Caribbean movies), Scott has created a vast array of fantastic landscapes, labyrinthine spaceships and alien architectures that are a feast for the senses. Known for his incredible attention to detail, accompanied by use of comprehensive storyboards, Ridley is a master visualist, and that this grand scale space opera was brought in with a production budget under $100 million is truly astounding. Adding to the overall mood of the film is the atmospheric score by Jed Kurzel, who also employs some familiar musical cues from Jerry Goldsmith’s breathtaking original Alien score. So, where does all this leave us with regards to future Alien films? 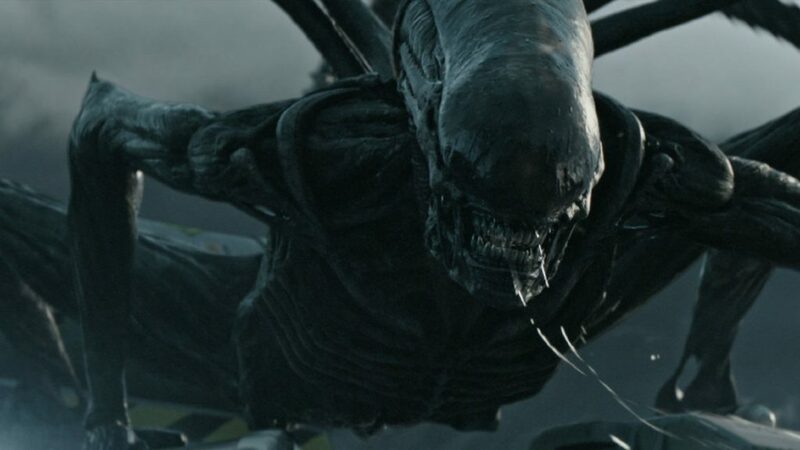 While it would appear for now that the proposed Alien 5 by Neill Blomkamp, featuring the return of Ripley and Hicks from Aliens, is dead in the water, or rather, space, Ridley Scott and 20th Century Fox have already stated that two more Alien films are planned which would lead right up to the original Alien from ’79. That means two more prequel/sequels, with the next one’s screenplay already all but complete, and set to film next year, as per Scott. Whereas past Alien films, though connected, by the Ripley character and a continuing timeline, were apparently each conceived and filmed with little thought regarding where the next one would go, there is a clear vision in place now, with Ridley at the helm. That a 79-year old director can be so invigorated and invested in a nearly four-decade old franchise, and be able to keep it fresh and exciting after all these years is quite amazing to say the least. Hopefully, there will be no speed bumps, box office-wise or other, that will impede one of horror and science fiction’s most original and terrifying film franchises. The aliens are back and they aren’t going anywhere, except your nightmares. 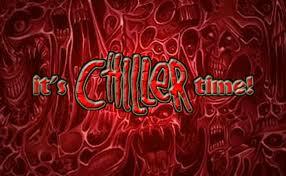 Awesome web site! Great review; as a long term Aliens fan from day one, the review by Brian de Castro is spot on; that they’ve been able to keep a 4 decade franchise fresh and alive is testimony to the various writers and directors through the years, especially Ridley Scott who is now at the helm and I like the direction it is taking. Can’t wait for the next Aliens movie to be released. Thanks for the nice words. It’s good to know that there are longtime Alien fans who are happy with the latest film and where the franchise is headed. Of course, just like with Prometheus, there are those who aren’t especially satisfied with this latest movie in the Alienverse. You can’t please everyone. For us devout Alien fans, we have to hope the disappointing box office of Covenant won’t hinder the development of future installments, especially with the way this one ended. There is plenty more story to tell in getting to the first Alien. Perhaps, Fox will instead decide to go with the previously mentioned Alien 5 by Neill Blomkamp. We’ll have to wait and see. Alien: Covenant is Ridley Scott’s renaissance effort, a film worthy of the best of his talents. Remarkably, it’s chronological consistency in the Alien universe is matched and exceeded by its thematic relationship to Blade Runner; specifically, the nature of creation and the pursuit of immortality as exemplified by the Walter/David relationship. It’s a rich work; dense and daring — part existential treatise, part sublimely tense thriller. The mystery and danger of space is made manifest as it was in Alien, made all the more compelling by the film’s philosophical musings. And Jerry Goldsmith’s estate should be compensated generously since his main theme from Alien is used repeatedly to wonderfully resonant effect. A first-class effort whose ending displays a maturity not found in cinema these days. Not to be missed. If only Roy Batty could crossover into the Alienverse. Ridley definitely has a thing for synthetics/replicants. Regardless of what ‘fans’ think of Prometheus or Covenant, there is no denying that these films aspire to more than the average Marvel or DC superhero film. Looking forward to see what comes next. But I do hope we haven’t seen the last of Ripley.